UPDATE: Listen to interview HERE. 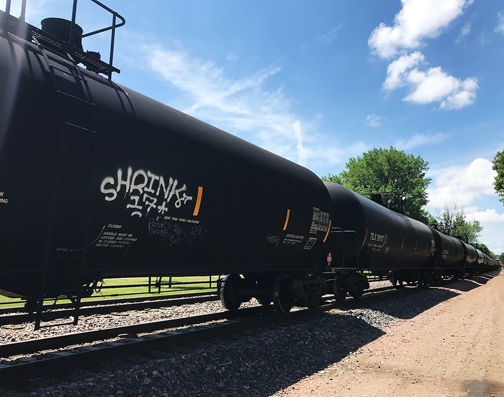 “The thing that I believe that was probably the biggest win for the city during the eight years I was so honored to serve, involved finally inking the deal with Burlington Northern (to move the railroad switchyard from 8th Street). As I have stated in the past, this was a horribly negotiated deal. 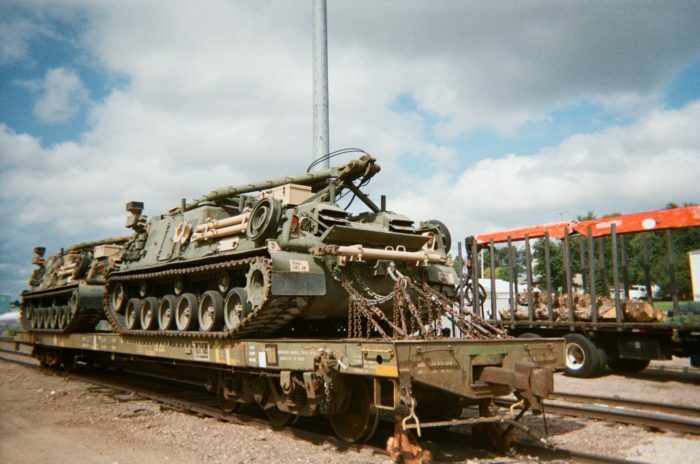 We didn’t get a majority of the trains to move out of downtown, we paid to much for the land (that the Feds probably owned to begin with) and we have yet to cut a deal with anyone. One deal fell through and another developer is offering HALF of appraised value. This is a habit with Bowlcut that he just cannot seem to break. When something actually is a very bad deal, he says it’s the greatest thing ever. I always say, to say you are being TRUTHFUL is different than actually being TRUTHFUL. Available properties will be listed on the city’s website, and interested parties will need to file an application and submit other items including site plans and building renderings. Planning and Development Services will then review submissions on their qualifications and willingness to follow property requirements listed for specific properties. Purchase and development agreements will then be negotiated, and the City Council will be informed of the applicant and their concept. We already paid to much for this dirty land and never put a plan in place to rid DTSF of significant rail traffic. As far as I am concerned it was a failure before the ink even dried. At this point I’m not sure why the city has to know all the details of a plan, doesn’t seem much different then an RFP process – though the city council will know more. I think the city should just put the land up for sale to the highest bidder, and as long as they are following zoning and building regulations, why does the city need to know specifics? Let a developer go through the normal channels they do with any project they are building on land they own, and NO TIFs or tax rebates. I think the sooner taxpayers are off the hook the better. 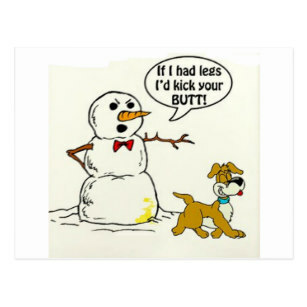 She said her husband went to a neighbor’s yard and urinated on a snowman. Later, after more yelling and as she left to drive her friend home, she said he kicked over the snowman and threw urine snowballs at her car. While I have known about the big ‘D’ for awhile, like many things that go on behind the scenes, none of my business, but it seems the dirty laundry is out now. While I feel bad because I have known both Erika and Dave for a very long time and both of them have been very generous and kind to me over the years. They both have enormous personalities. It’s also too bad the Black Iron project isn’t moving forward. Dave had let me in almost 2 years ago he was planning a project for the area. Hopefully something can come of it besides another square apartment building downtown by the Double ‘L’ Co. I often tell friends I am thankful of three things 1) I don’t have children 2) I have never been married 3) I don’t have a lot of money. Three things that can force a man to throw urine laced snowballs. See, I’m not crazy folks. 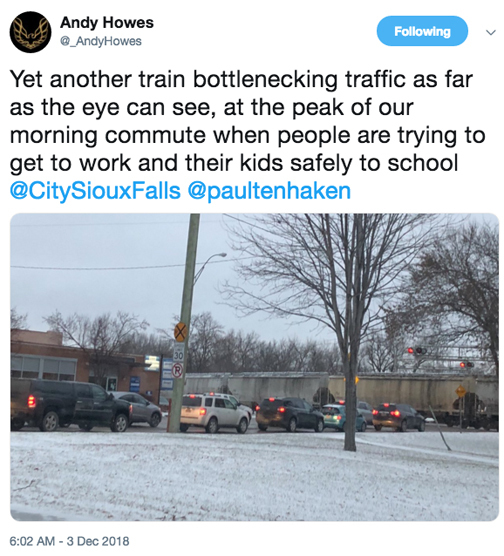 Former city councilor Andy Howes tweeted this morning about the stupidity of the trains crossing Cliff Avenue at the worst possible time. But as I have been told, you can’t do nuttin’ to stop the trains. The Glory House rehabilitation apartments are one step closer to opening with the tearing down of the old ice rec center. The couple deferred the final vote to review costs. Power’s say the Billion’s are revising their plan and changes will be made. As I understand it, it was going to be very costly to provide underground parking due to quartzite issues, so I’m sure they are trying to revise the parking situation to include it above ground in the planned structure. But I’m not sure. I do know that the city requested the building be a certain amount of stories (6?) due to density and there may me a disagreement on just how that may be done with including above ground parking. I never understand why developers want to get involved with private/public partnerships with the city. 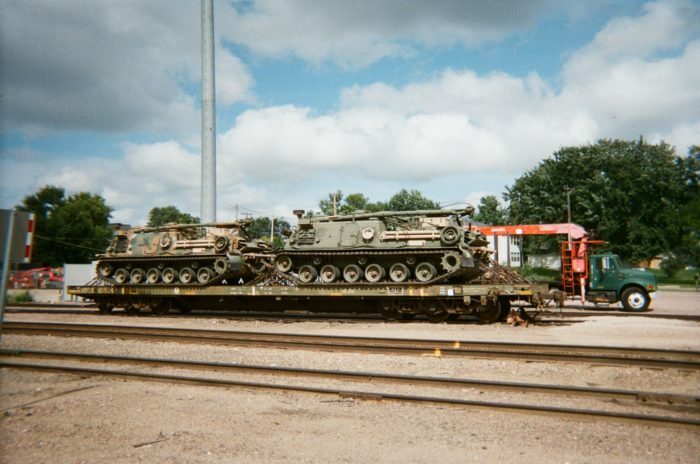 SHOULD THE SIOUX STEEL REDEVELOPMENT PROJECT GET A TIF? 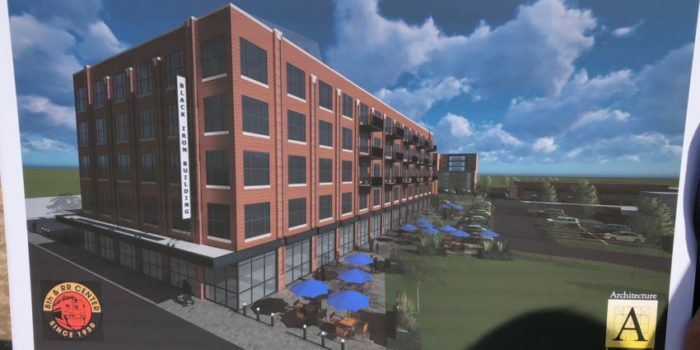 There has been rumor floating around from city hall that a TIF may be applied to this project. Now while you may argue that the land Sioux Steel currently sits on is probably contaminated due to decades of manufacturing and this would be classified as ‘blight’ do you think it is fair to give a tax rebate to developers who contributed to that blight to begin with? Kind of a philosophical/ethical question. While we know clean up will have to occur before redeveloping the site I suggest applying for EPA grants and NOT taking away money from public education in the form of TIFs. 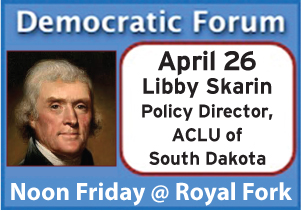 Mike is going to address the Sioux Falls City Council about the purpose of joint jurisdiction after the recent fluff up over the wedding barn. 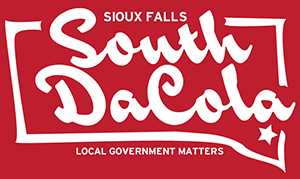 The city must be getting nervous that the Minnehaha County Commission may be planning to withdraw from the ‘Polite’ agreement. Not sure why the City Clerk decided to renew this contract with all the problems with the service? 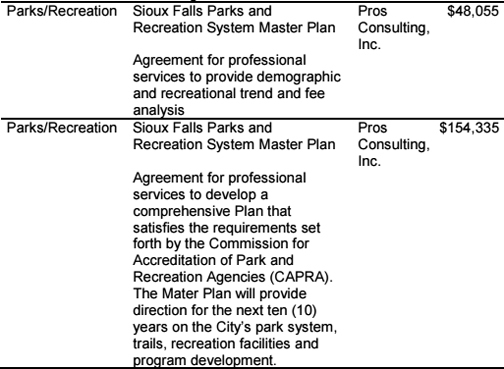 Even after the city council told them to explore other options the Parks Department (director) convinced the TenHaken administration they still needed the studies done. So much for the legislative body’s input on this one. I also find it ironic we are seeking a parks accreditation but don’t seek the similar credentials for our police department. Because you know, green grass is far more important than public safety . . . I noticed after state law changed concerning public input that the planning commission started having public ‘general’ input at the end of the meeting. They did it for a couple of meetings than in last week’s meeting they did not do it (only on agenda items). While I understand that maybe NO ONE came and spoke that doesn’t mean it can be eliminated. In fact in my 12 years or more of attending city council meetings there were several meetings in which people did not speak, but it still is offered. I am wondering why they ended offering this at the planning meetings? Thank you for the email regarding the agenda item for Public Input at the monthly Planning Commission meeting. 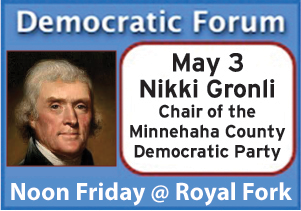 As indicated in SDCL 1-25-1, “The Chair of the body shall reserve at every official meeting by the public body a period for public comment, limited at the chair’s discretion, but not so limited as to provide for no public comment.” Therefore, our Planning Commission Chairman made the decision to remove the agenda item for Public Input on non-agenda items at our monthly Planning Commission meeting for the simple fact that it had not been utilized by citizens so far. 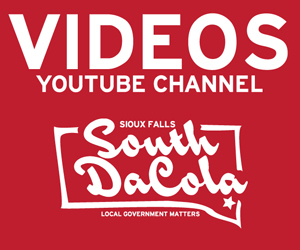 He also felt that we allow public input at our 12:00pm Planning Commission Briefing the day (Tuesday) before the Planning Commission meeting and that may be a better opportunity for Citizens to provide public input. In doing public input this way we do comply with SDCL 1-25-1. This meeting of course, while open to the public, is at city hall with limited parking in the middle of the day on a Tuesday. The meeting is also NOT recorded or live streamed. After receiving your comments as well as those from Councilmember Stehly, Planning Staff and the Planning Commission Chair have decided to add the Public Input Agenda item back on the Planning Commission Meeting agenda. Our intent was not to limit Citizen Involvement at our Planning Commission Meetings, but to provide the best avenue for Public Input. As I mentioned in my original email, doesn’t matter whether anybody shows up or not, as long as an opportunity is provided. The irony is even if NO ONE speaks it only takes a matter of seconds to ask if anyone is present to speak and is little inconvenience to the Planning Commission or their chair. Thank you for bringing your concern to our attention and we look forward to Citizen Public Input at the November 7th Planning Commission Meeting. That kind of sounds like an invitation to me. I’ll keep my calendar open that night. I always have plenty to say about planning in this community. *I would also like to thank Councilor Stehly for looking into this for me initially. We kind of tag teamed this effort. After the presentation of the new development downtown I addressed the council at the informational meeting (at end of meeting). I basically told them as long as the train noise and increased traffic exists it will be detrimental to further development downtown. I also said it was time for our Washington delegation to get off their duffs and have a conversation with BNSF about moving the switching and storage of cars out of DTSF. The first project to redevelop part of the downtown rail yard is envisioned as a mix of commercial and residential that would enhance the area around 8th & Railroad Center. The development will be owned by Black Iron Railyard, LLC, which is led by David and Erika Billion. Erika and Dave had told me over a year ago they were going to submit to the RFP and were greatly interested in the property behind the 8th and RR center that they currently own. I am actually glad to see they were awarded(?) the RFP, and for once it wasn’t the same old group of developers. Obviously, the City Council will still have to approve the project, but like I mentioned last week, the ball is already rolling. It will be interesting to hear if there will be any controversy over this project. The only thing I would be concerned about is building residential less than 100 feet from an active train track. There has been a promise this area will become ‘whistle free’, something that should have been negotiated to begin with. We will have to wait and see how the turd polishing goes. Funny how some things don’t change in community development even with Jeff and Mutt gone. There is a big announcement on Monday about the first project in the RR Redevelopment area, and mums the word. (Rumor has it that members of the Billion family who own the adjacent 8th and RR building won the RFP. Not sure if this is true, it could be a myriad of developers, but I do know they were very interested in the property). But like the former administration, the council was left out of the negotiations. In other words, they have NO idea who was picked, or why they were picked, but need to vote to approve the selection. Apparently we haven’t learned much about the RFP process and how secrecy hurts that process. I also find the timing of this announcement interesting after hearing TenHaken’s COS, Beck, talk in the news about better ‘educating’ the public about the value of TIFs. Sorry, Erica, you can put lipstick on a pig, but it’s still a pig. It has been proven time and time again, all a TIF really is, is a tax rebate for the developer building the project, and by the time the TIF matures, that developer has sold the property and moved on, while getting a massive discount.